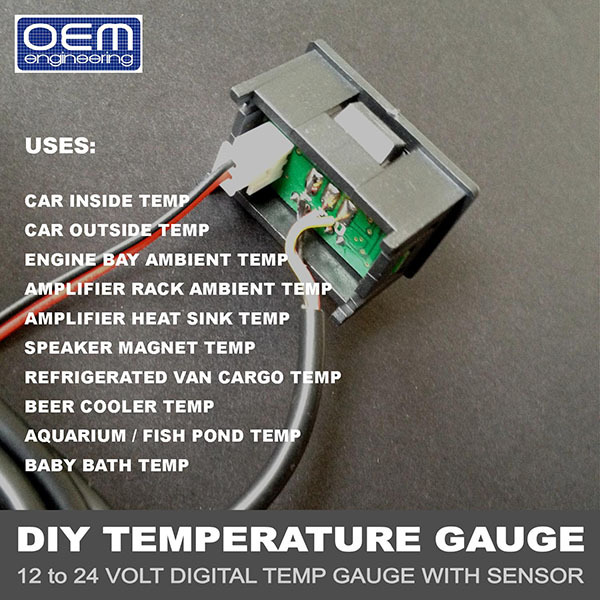 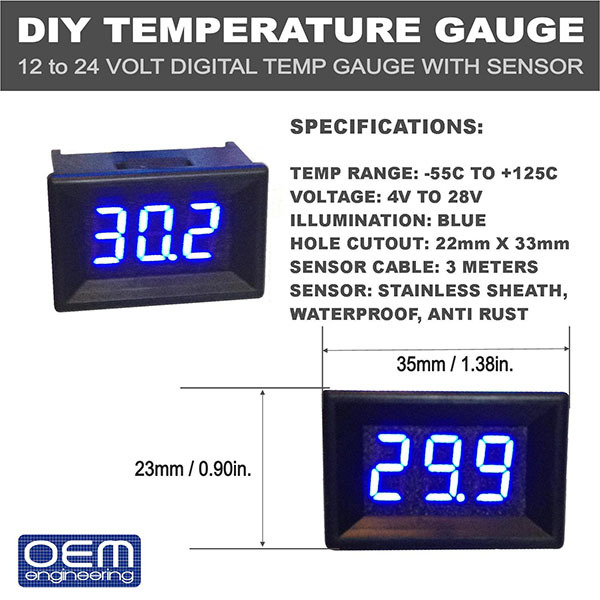 OEM Engineering's new DIY temperature gauge makes it easy to accurately monitor temperature ranges of a myriad of different things, from automotive, to architectural*, to industrial* applications. 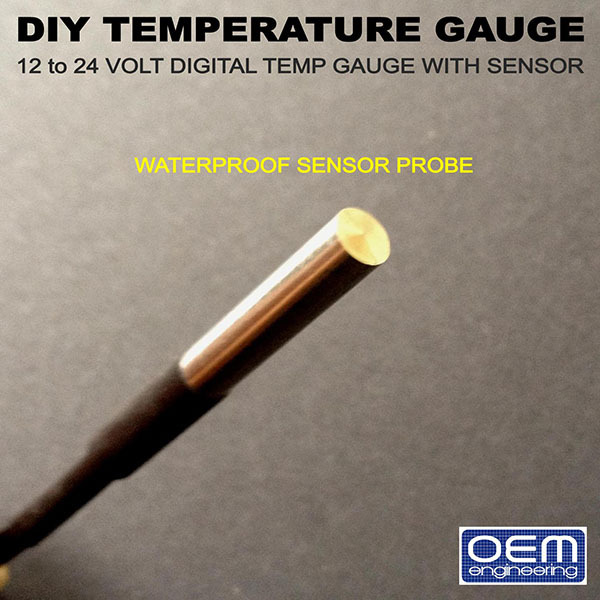 High quality DS18B20 sensor probe is waterproof and wrapped in a stainless steel sheath, making it perfect for indoor, outdoor, and even underwater applications. 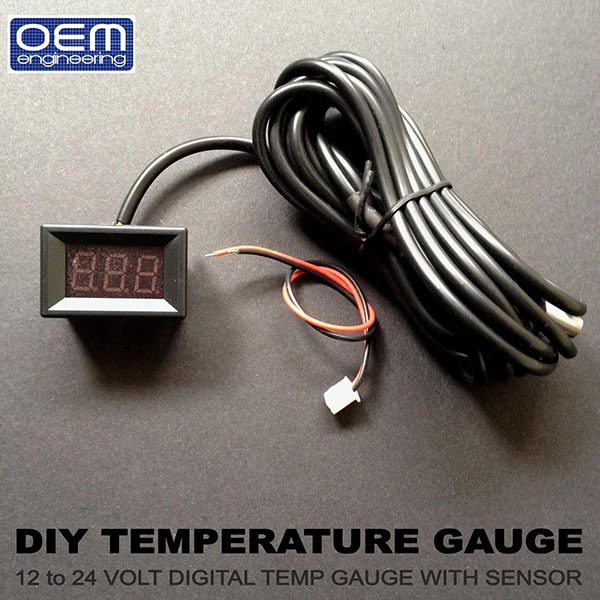 -For applications other than automotive, a 12 volt ac to dc converter may be necessary as it is not included. 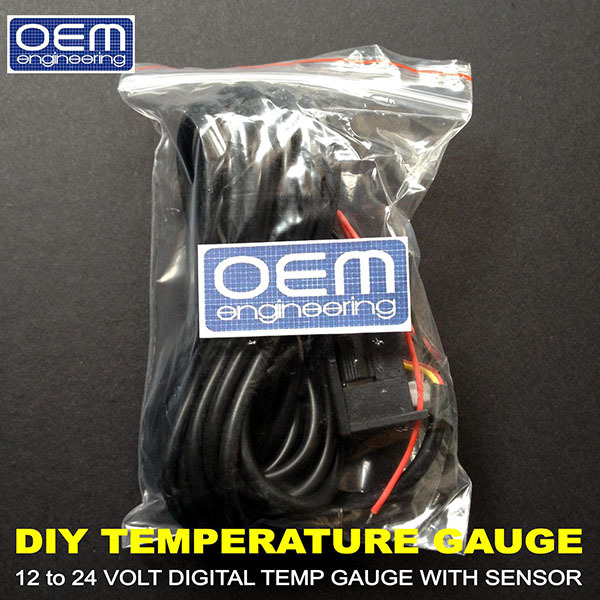 -This is a universal kit and is not designed as a drop in accessory to any specific vehicle.